Looking for that hard to find home in Glendale with horse privileges?? Look no further!! This home sits on almost an acre irrigated lot with NO HOA!! Plenty of room for all your toys and RV parking, it has covered horse stalls with water hook ups, storage shed for your tools, white pipe fencing, brand new carpet and paint, all appliances included, granite counter tops, split floor plan, need I say more?! 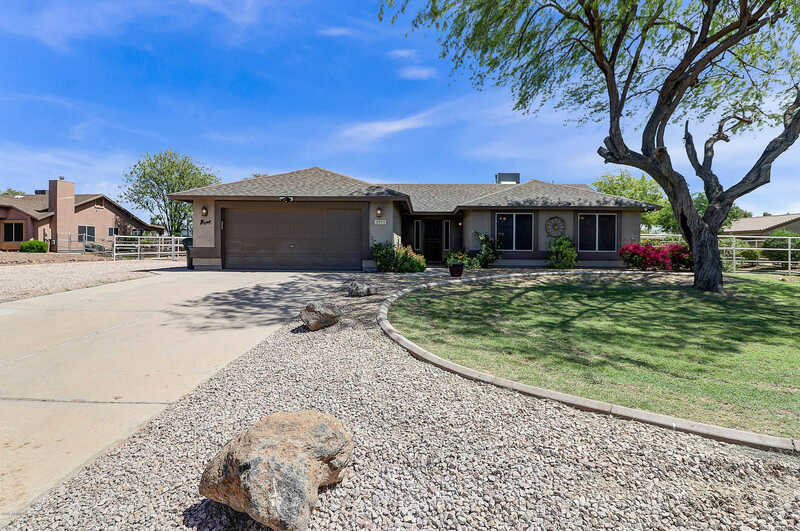 Bring your buyers….Close to the 101, I10, Westgate and Camelback Ranch! Approximate size: 40045.00 sq. ft. Please, send me more information on this property: MLS# 5910815 – $395,000 – 5715 N 105th Lane, Glendale, AZ 85307. I would like to schedule a showing appointment for this property: MLS# 5910815 – $395,000 – 5715 N 105th Lane, Glendale, AZ 85307.